This is really shameful! Two ladies decided to slug it out in public after a heated argument. According to information gathered online, the two ladies after a disagreement - took their fight to the streets as neighbours and passersby looked on. 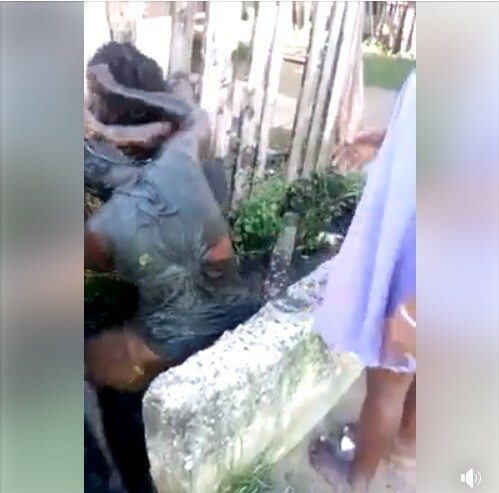 In a trending video posted online, the ladies can be seen throwing themselves punches before landing in a gutter filled with dirty water and didn't even care to stop. 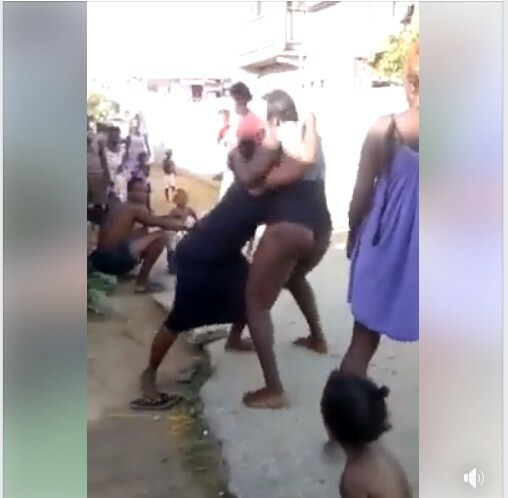 While this was going on, people who gathered at the scene to be entertained by the fight - couldn't stop the ladies as they engaged in the public brawl. Rumour has it that the ladies were fighting over a man, a report which cannot be confirmed.